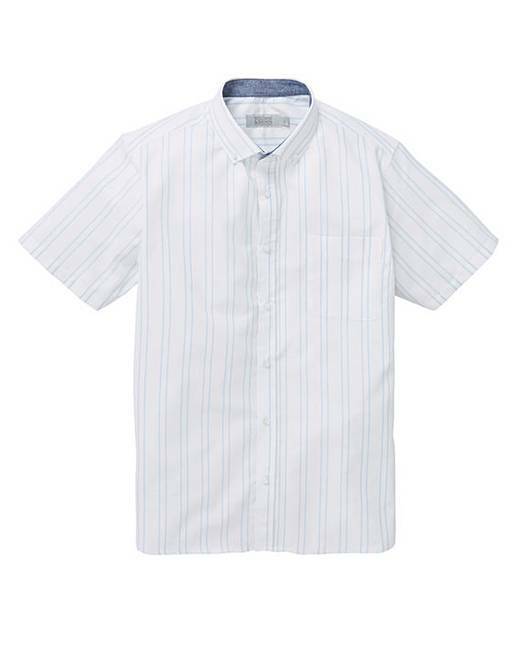 W&B Blue Stripe Short Sleeve Shirt R is rated 5.0 out of 5 by 1. 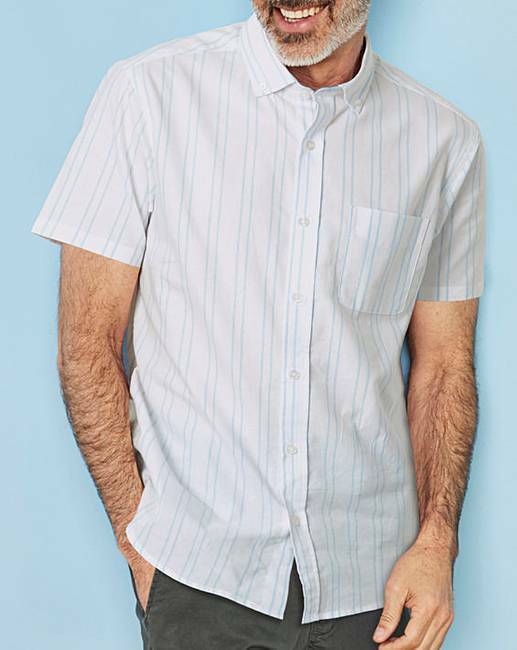 Stripe shirt features short sleeves, button front, button down collar, single breast pocket and a shaped hem. Rated 5 out of 5 by tfichris from Great fit Excellent fit looks good washes well, would buy this item again.